Family photographs sold on the web strike a strong chord with me. Who were these people who posed in front of the camera? What names, jobs, loves, and pains did they have? Who can say? All they are now are figures emptied of identity. These pictures, despite their fragility, remain the only evidence that these people existed. 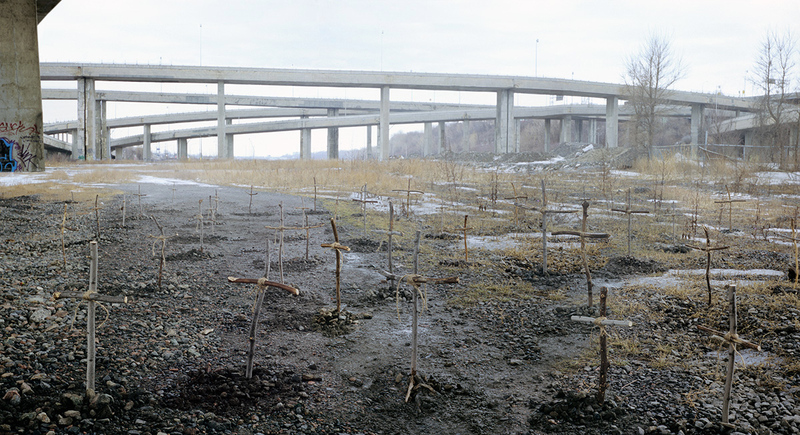 I chose a lot beneath the Turcot Interchange – a lot whose anonymity and abandonment matched those of the photographs – and dug fifty graves to burry them in. Makeshift crosses marked the spots. This graveyard of abandoned photographs was intended to serve as a site of memory for those strangers caught in the camera’s eye. I filmed and photographed all of it to keep a trace of the intervention. The bookwork Concession: glossaire illustré depicts the stages of the project. 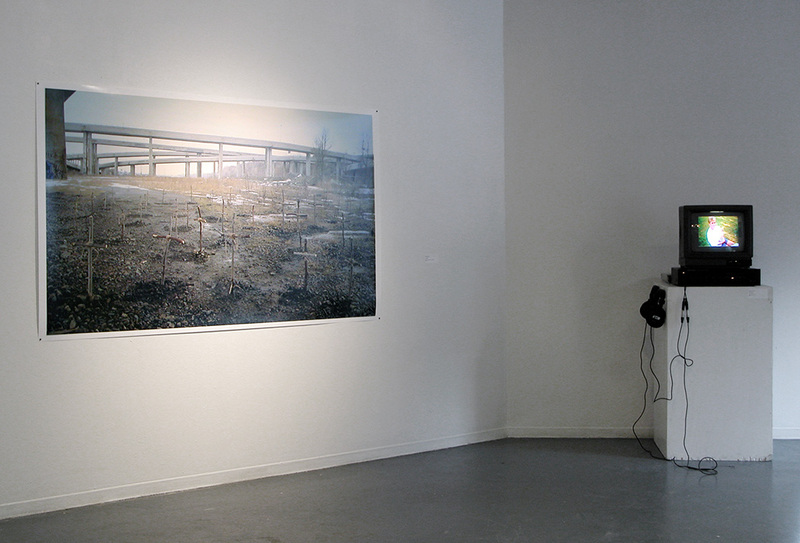 Organized around keywords such as Artefact (Artéfact), Relic (Rélique), and Motif, it brings the world of the installation into dialogue with more intimate photographs that guide my artistic process. For many French speakers a concession refers to a burial lot, but it may also indicate everything that we’ve abandoned without thinking twice about it. How to hold on to the traces of the past? Such is the question posed to those who remain.